Posted in: Radio Control, Team Durango. Tagged: New Releases, RC. 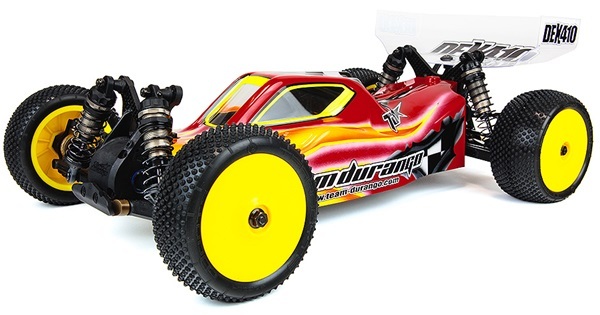 Team Durango has finally released complete information on the new DEX410v4 Off-Road Buggy. The DEX410 version 4, boasts 15 improvements to the DEX410 platform. The DEX410v4 is a proven winner, it has already won a IFMAR World title, a European title and a Reedy Race win, just to name a few of its accomplishments. The DEX410v4 can be found with Part # TD102030. Team Durango hope to have it in stores later this month with a MSRP of $399. You can check out the complete details on the TeamDurango DEX410v4 Release Sheet.